Comfort grip handle allows you a stronger grip. 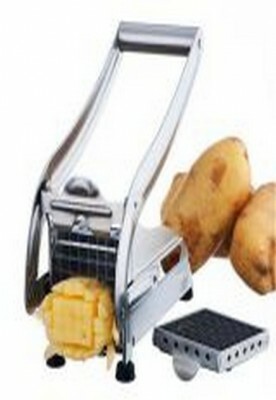 Includes two stainless steel cutters with 36 and 64 holes. 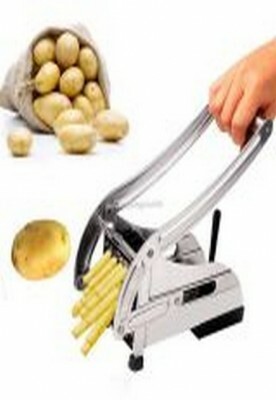 Efficiently slice uniformly thick or thin french fries with one simple move. 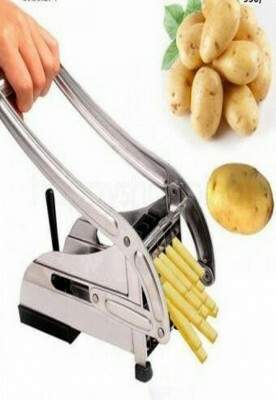 Cut a variety of vegetables. hand washing recommended.